Introduction of members and the parts of the lake they prefer. 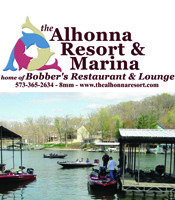 Everything you wanted to know about fishing for Bass at the Lake of the Ozarks in Missouri! Fishing for large mouth bass is a skill that is honed - share ideas, insights and stories here! Get the inside scoop on which bass clubs are worth joining and what to do when you join one! For discussions on any topic related to Missouri High School Fishing. The crappie forum focuses on crappie fishing on Lake of the Ozarks, including crappie fishing reports, baits, tackle and other topics of interest to Lake of the Ozarks crappie fisherman.